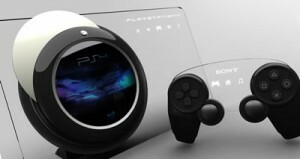 The upcoming Sony PlayStation 4 is believed to be just days away from being revealed to the world at a one-off event this Wednesday (20 February), and if anything the anticipation seems to have knocked the rumour mill into full swing, as potential features take up the last chances to be hinted at before the official unveiling. The latest one of these is the rumour that the PS4 will take on the ability of full ‘game streaming’ online, implementing technology gained through a $380m buy-out of cloud gaming company Gaikai in 2012. The streaming system has been hinted as a further way to offer backwards compatibility of PS3 titles to the new eighth-generation console, and will be something they look to take advantage of through potential subscription or rental options, according to a report from the Wall Street Journal. If it is a planned feature, then the PS4 streaming capabilities will most likely be demonstrated at this week’s show along with the other rumoured components of the Wii U challenger, but how many of the many hinted features of the PS4 will end up making it to platform on Wednesday? It would make sense if they bought Gaikai, that now they would be implementing it into the PS4. Seems promising But perhaps it would be unpleasant to countries where internet access isn’t optimal.